The eye-catching pair glided around the ice so fluently and with such grace, beauty, and synchronization that it was easy to forget they were working harder than most of us do in our most challenging activities. Yet there they were, competing for a medal in PyeongChang in 2018 on the world’s biggest stage under incredible pressure. 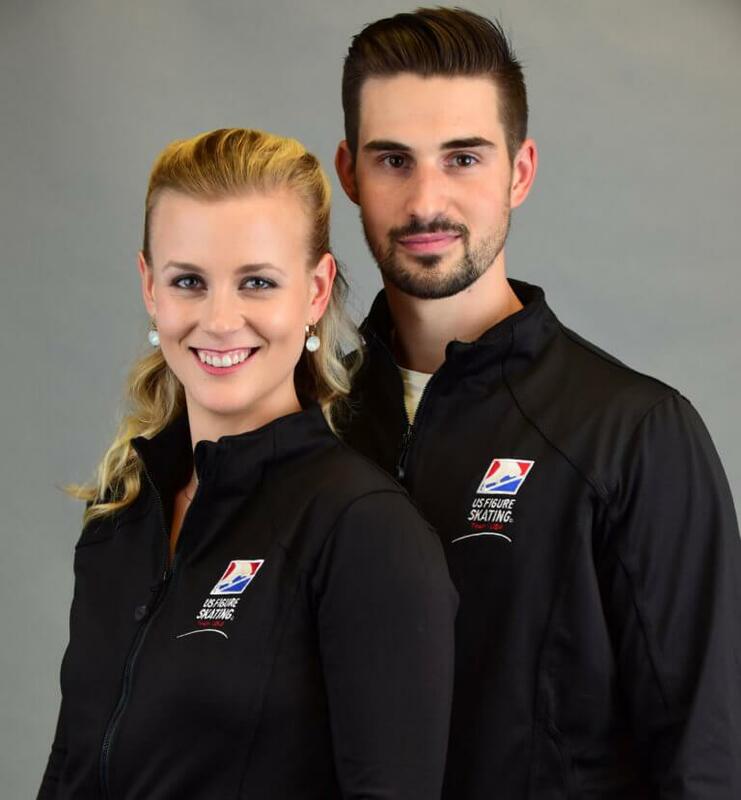 Ice Dancers Madison Hubbell and Zachary Donohue, both Shaklee Pure Performance Team members, skated to near perfection, finishing in fourth place, in one of their best performances of the year. In March, they competed in the 2018 World Figure Skating Championships in Milan, Italy, and won the silver medal. Most of their work takes place on an indoor ice rink, so it’s a great change of pace when the competition and performance season ends and summer beckons the skaters outdoors. “Although we don’t really have an ‘off-season’ at our level, we’re looking forward to mixing it up with summer activities,” said Zach. Q: Summer is almost upon us. What are your thoughts on getting “summer ready”? Zach: My first thought is to start before the warm weather hits and start by self-motivating. The sun will shine, so it’s time to get ready for your swimsuit. Different body types and different fitness levels require unique workout plans, so take some time to decide what you want to accomplish. Keeping a journal helps in goal setting. If you enjoy being fit and the thrill of running farther, lifting more, and achieving your goals, then this is a pretty exciting time of year. Q: How about diet? What should we do to achieve our summer goals? Zach: I always strive to live a healthy lifestyle, an important part of which is proper nutrition. Instead of going in and out of frustrating dieting, eat healthy every day and match your food intake to your level of activity. During the competition season, I focus more on reducing carbs to maintain muscle mass but not body fat. If you’re working out more, it’s important to stay hydrated. I love Shaklee Performance® Endurance Electrolyte Drink for hydration. And my favorite shake is Advanced Physique® 100% Grass-Fed Whey Protein from the Performance line. I’ll throw a couple of scoops into the blender with water, or sometimes I mix it into pancake batter—it’s so versatile and fun to work with. Performance products help me feel less worn down. Q: What can you offer for specific workout tips or specific exercises? Zach: One of the benefits of sunshine is that it makes being outside so inviting. I’ll go for a run since I’ve had enough of treadmills and endless cardio runs by this time of year. Start with a run outdoors—for me, it’s the blue sky above and a long canal that I can run alongside for hours. And don’t forget your goals before you step into the gym. I love to switch it up with heavier weights and fewer reps, or lighter weights and more reps, and all sorts of exercises. Summer means working on my chest and back, upper body, shoulder, arms, and core. Q: Many of us will push too hard too soon. Any thoughts on rest and recovery? Zach: Absolutely—rest and recovery are essential. You’re eating the right foods, hopefully, but try having an Advanced Physique 100% Grass-Fed Whey Protein shake within 15 minutes after your workout. Also, I aim for 7–9 hours of sleep, which is sometimes difficult with my tour schedule. Sleep can help you shut down, relax, and repair. If you’re getting less sleep, grabbing a short nap during the day can provide a lot of energy. Even if you’re doing sets and reps during workouts, smart breaks provide the rest your muscles need to gain strength. Q: Any other motivational thoughts for us to enjoy summer to the fullest? Zach: Remember that a workout partner or group can add to your motivation. But the best results I’ve seen come when you are truly enjoying and taking pride in your activity, your life, your body. I know it’s easy to look around and think you should already be where someone else is at, to get discouraged when you see a better-toned, slimmer body or someone who can run longer, lift more, or fit in clothes better. We begin with different body types, capabilities, and habits. Strive for happiness in your activities, take pride in the journey, and focus on joy—create that healthy lifestyle. And enjoy the summer! The post Get summer ready with Shaklee Pure Performance athlete- Zach Donohue appeared first on go.shaklee.com.